Please read our Terms and Conditions carefully prior to making any booking via this website. By making a booking via this website, you confirm you accept these Terms and Conditions. Reservations Bookings can be made online, by email to activelife.booking@beactive.life, or by calling us directly on (+61) 400-207-277. You agree that you may only make reservations for yourself and your invited guests, and you must not make reservations for the purpose of reselling, posting, advertising or marketing reservation information through third-party websites or other means, or any false, fraudulent or speculative reservations. Change of guest name of any reservation is not allowed unless there are any special circumstances deemed acceptable by our booking team. The hotel has the right to reject any guest from checking-in if the guest name is different from the name as stated on the reservation. We reserve the right to cancel or modify the reservation you made in its sole discretion without notice if it appears that any reservation has been made in breach of the above terms or involve any abuse of the reservation service. Age restrictions Children under 6 years old stay free of charge given that an extra bed is not required. Children aged 6 years old or above will be considered full occupant. Bookings cannot be accepted for guests under the age of 18 unless they are over 16 and accompanied by an adult. PaymentPre-payment is required at the time of the booking. See Cancellation conditions for a refund of the deposit. Changes /Cancellation conditionsYou can change or cancel your booking for free up to 14 days prior to check in. If you need to change the dates of your booking please contact our reservations team by email to activelife.booking@beactive.life or by calling us directly on (+61) 400-207-207 . Changes of dates are subject to availability and rate differences may apply. If you book via another website, all changes must be made directly with the agent. 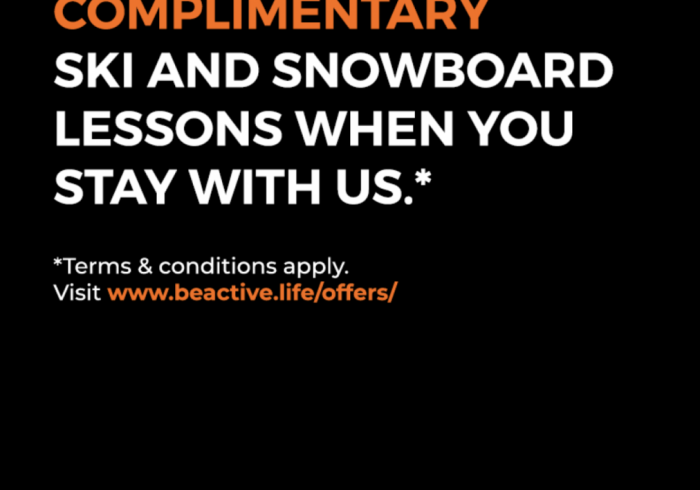 All cancellations can only be made by email directly to activelife.booking@beactive.life. Any refunds will be made by the same method the payments were made and to the specific card used at the time of the booking. 100% will be charged for any changes and cancellations made within 14 days of check in. Refund is not applicable to non-refundable bookings. No ShowIf you fail to arrive for your stay, you will be charged for your full stay. Check-in and Check-out Check–in time is from 3 pm and check-out time is by 11 am. If you arrive earlier, you are welcome to leave your luggage in our storage room. Our front desk will be there with a smile and some tips on where you can get good coffees, beers and food! If you plan to arrive after 7 pm please let us know in advance so our front desk can wait to check you in. Please make sure to bring valid identification with you- passports for international travellers, government issued National Identity card, residence permit, military ID or a driving license for Japanese citizens and residents. We are unable to check anyone in without this, so make sure to pack it with you. Hotel rules Smoking is not permitted in any part of the hotel. Should it be brought to our attention smoking has taken place, a cleaning fee will be assessed. Customers are required to conduct themselves in a reasonable and responsible manner and must not act in any way which may disturb other guests. Failure to adhere to this requirement may result in customers being asked to leave the hotel in which event all additional charges shall become immediately payable by the customers. Any guest(s) who, in the opinion of our staff, compromised the comfort, safety or security of other guests, staff or local residents will be asked to leave the hotel premises. Guest are expected to respect other guests as well as staff and the property. The customer will be responsible for any loss or damage caused at the hotel. Personal Property It is a guest’s responsibility to ensure that personal belongings are secure at all times. Active Life Madarao accepts no liability for the loss or damage to guests’ property, however sustained or caused. Active Life Madarao is strategically situated 3 mins walk from Madarao ski lifts. Extensive renovations undertaken in 2016 have transformed Active Life Madarao into Madarao Kogen’s highest ranked hotel. Each day, we do our utmost to ensure that the time you spend with us here at Active Life Madarao will exceed all of your expectations. Our friendly English-speaking staff are experts when it comes to your comfort and overall enjoyment. Relax and enjoy the stunning contemporary décor and comfortable accommodations while experiencing the thrilling world-class skiing, stunning natural beauty and warm hospitality that Madarao is renowned for. It’s an experience unlike any other, the perfect blend of Japanese hospitality and western convenience.